It wasn’t boring boxing, it was regular boxing. 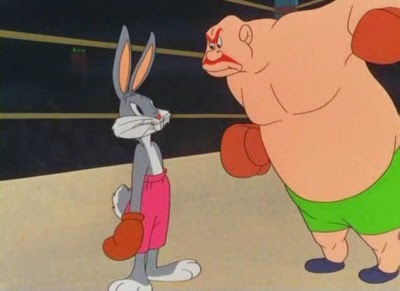 I don’t know what people were expecting going into the fight, because regular boxing is not what you see from Rocky or Jake LaMotta or Mike Tyson’s Punch-Out or Bugs Bunny. Boxing is known as the “Sweet Science” because it is much more strategic than most people give it credit for. Yes, the way you win is by hitting another human being repeatedly, which is generally frowned upon in polite society. But there are different ways to play the game. Mayweather’s way, which is defensively-focused, is a winning way even if it’s not sometimes the most exciting way to victory. We remember Rocky and Apollo Creed (or Clubber Lang, or Drago) knocking each other on the chin for hour after hour in slow motion. In real life those fights would last thirty seconds, not thirty minutes of movie time. That’s not how it works in real boxing. Boxing is really a defensive sport. It’s about not getting hit as much as it is about hitting the other guy. The amount of people talking about how boring the fight was reminds me of the soccer analysis during the World Cup. I can’t remember how many instant-experts demanded that Michael Bradley get benched because it was “his fault” that Portugal scored the last-second tying goal in the final group stage match. Simple analysis of the play shows that all Bradley did was lose the ball 10 other guys failed in that horrible sequence that allowed Portugal to move the ball across the entire pitch without any resistance in about 15 seconds. Obviously with a knockout there would be much more after-fight excitement than there is now. But that’s America nowadays. If it’s not instant gratification, it’s boring. That’s why the fight is being criticized so much. But it’s also a clear indicator of how many people have taken some time to understand boxing and how many haven’t. Defense wins championships. It’s true in boxing as well as other sports. 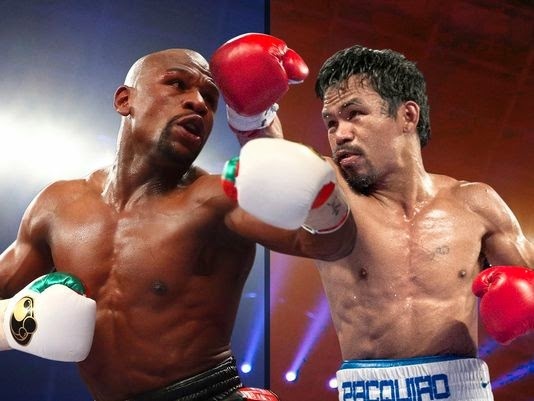 It was true for Mayweather/Pacquiao, even if it was allegedly boring. Boxing fans know better.